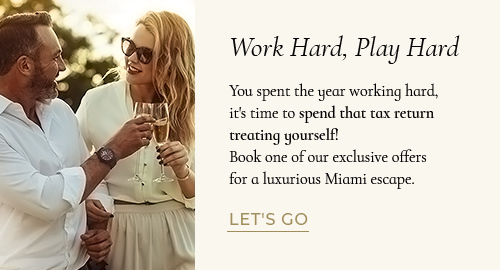 In 2015, one of Miami’s greatest hubs of curiosity closed its doors. However, there’s no need to mourn as this closure was more of a massive renovation and relocation. The result is the 250,00 square-foot waterfront Phillip and Patricia Frost Museum of Science. Located just one mile away from InterContinental Miami, this science hub is a must-see attraction for the whole family. Start your museum tour by visiting one of the carefully curated exhibitions meant to add fun to science. Learn about the weirdest animals and environments on our planet with large models and interactive displays. Some exhibitions stay year-round while new ones are constantly up for temporary viewing. During your stay, it will be hard to miss the three-story aquarium located at the heart of the museum. Viewable from all levels, this aquarium has hundreds of animals ranging from monstrous Hammerhead Sharks to tiny Seahorses. 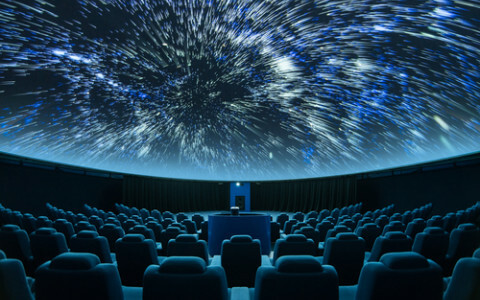 No visit would be complete without a mesmerizing viewing of the 16-million-color 8k projection planetarium. During the day, you’ll get the chance of hurl through space or shrink down to investigate a DNA strand in unimaginable quality. Night owls can come back to the museum every first and third Friday of the month to go back in time and experience psychedelic custom-made laser light shows every hour from 7:00 pm to 1:00 am. You may have seen it on a Miami Heat broadcast — sprouting up from Biscayne Boulevard, bathed in rich, colorful lights. However, this building is more than an architectural curiosity; it’s a piece of history, unique among the city’s dazzling glass landscape. 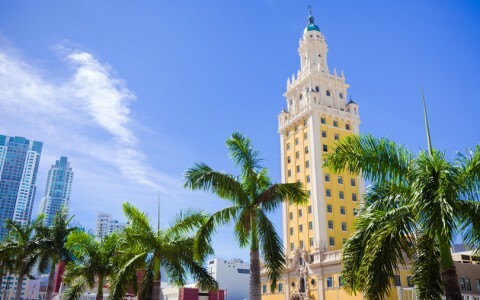 Built in the mold of Seville, Spain’s Giralda, the Freedom Tower first opened its doors in 1925 and served as the headquarters of the now-defunct Miami News. However, its fame — and name — would enter the public consciousness in the coming decades. Following Fidel Castro’s rise to power in Cuba, the Federal Government occupied the building, using it as a checkpoint to process refugees and provide basic medical and dental services. Among these newcomers, the Freedom Tower was known as “El Refugio,” its cupula a beacon of hope for the displaced. Although processing operations ceased after 12 years, the building’s legacy lives on; it was designated a National Historic Landmark in 2008. Equal parts Cold War memorial, structural marvel, and a testament to democracy, the Freedom Tower is worth more than a visit — it’s worthy of reverence.